Birthday पेंगुइन. 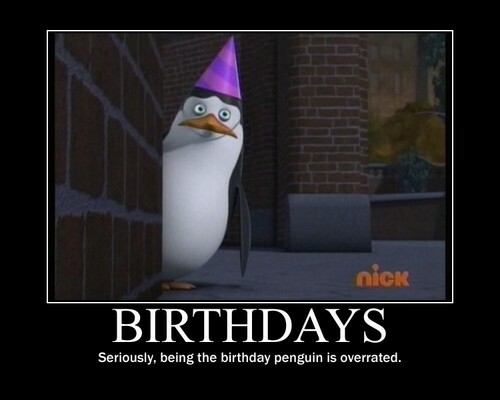 Let's say happy birthday to Private, although it's not his birthday.. Wallpaper and background images in the पेंग्विन्स ऑफ मॅडगास्कर club tagged: penguins of madagascar penguin private birthday amarillo kid hat sad. If he's the present, I want one! Private's now officially invited to my next birthday! Who'll take Rico? If no-one's offering, I will. I love Rico.